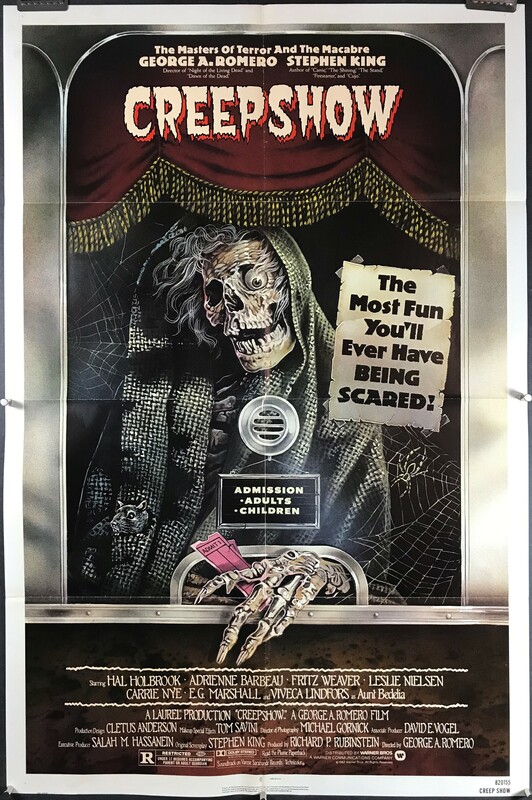 CREEPSHOW, 1982. Original Folded 1 Sheet (27 x 41” / 69 x 104 cm) Movie Poster starring Hal Holbrook, Leslie Nielsen Adrienne Barbeau; written by Stephen King and directed by George A. Romero. “The most fun you’ll ever have being scared!” Inspired by E.C. comics from the 1950’s, this cult classic horror anthology features five bone-chilling tales, each with a vengeful twist.